If a press fit is not sufficient to secure plain bearings, or pinning or screwing is uneconomical, bonding can be employed as an alternative low-cost fastening method for example. Depending on the application, bonding takes the form of e.g. When working, it is important to always ensure a uniform adhesive layer thickness. This should be aligned in the assembly and cured under load. The required flatness of slideway linings on slideways can often only be produced by mechanical re-working. Use can be made for this purpose of special materials with a thickness allowance at the sliding layer, e.g. materials KS PERMAGLIDE® P21 and P201 with an allowance of approx. 0.15 mm at the sliding layer. We do not recommend re-working P1 materials or maintenance-free materials. Special materials are available on request and to suit requirements. For metallic bonds, good adhesion is provided for example by Araldite® adhesives from Huntsman Advanced Materials, which offer good rigidity. 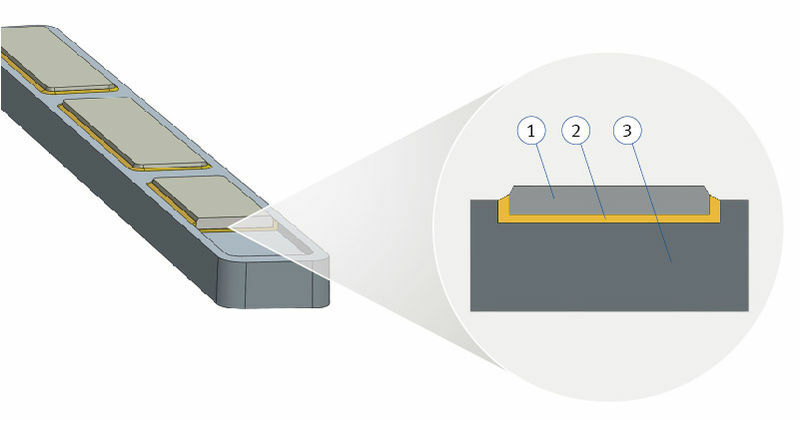 An overview of the adhesion spectrum and further information on working with as well as the pretreatment of the bonding surfaces can be obtained from the adhesive manufacturers. Ask the adhesive manufacturers for information on bonding, in particular with regard to choice of adhesive, surface preparation, curing, strength, temperature range and expansion properties. We recommend sealing the adhesive bead with silicones for example after curing. Adhesive must not reach the running-in or sliding layer. Slideway linings are usually fastened by screwing. This involves making countersunk holes through the lining and into the base material. The screw head must be well below the sliding layer. 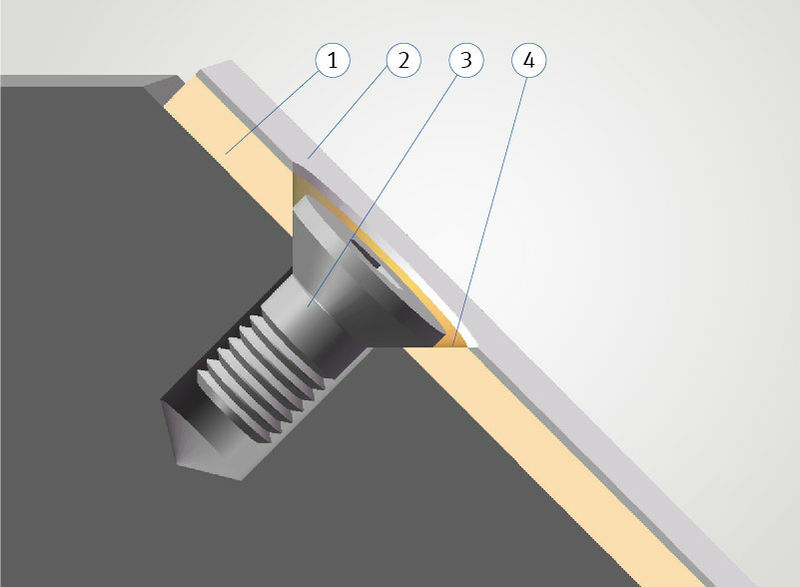 Slideway linings that are constantly under pressure can be embedded in recesses in their base material. With 2.5 mm thick metal, the recesses can be cut to a depth of max. 1.5 mm and, with 3.06 mm thick metal, to max. 2.0 mm. The recesses should only embed the supporting back of the strips so that the slideway lining protrudes sufficiently.